A commercial or public pool or spa may be defined as one that is used by the public, may they be members of club or any residential establishment or communities and schools. Particular equipment, design, and maintenance standards are mandatory for commercial pools. Many building codes and health departments have mandatory rules and standards for commercial pools. There are rules about minimum chemistry standards, covers, safety equipment, and turnover rates enforced by state and local jurisdictions. Public swimming pools are usually operated by government agencies and are under constant scrutiny by health regulatory agencies. Health inspectors visit the pool at least once a year in most areas. Because of liability issues, health inspectors may close a commercial pool until violations are corrected or impose fines if compliance is not met. Swimming pools are classified in most states from public to private pools. Private swimming pools are maintained by homeowners or residential establishment for the use of family and personal friends. Semipublic swimming pools are operated by a private person, a business or an organization. It has restricted number of users. 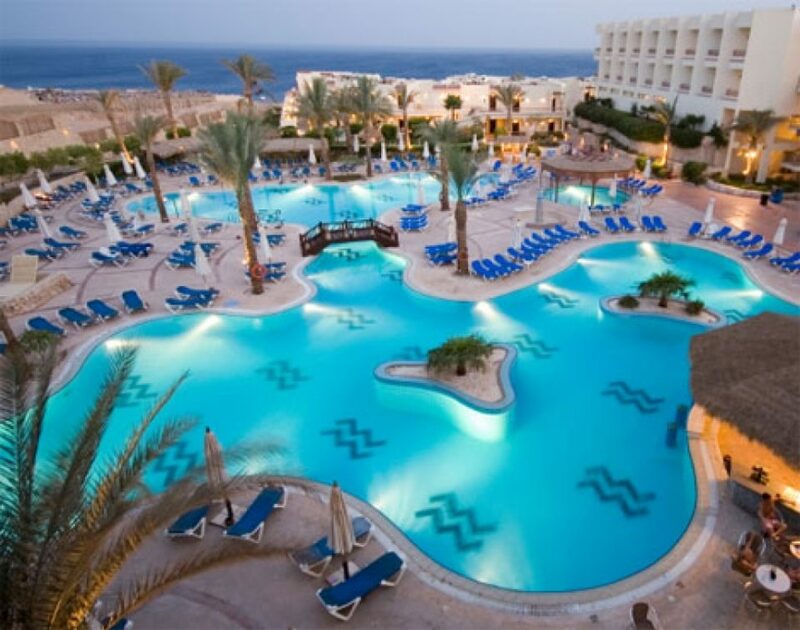 These pools are generally found in summer camps, hotels and motels, housing complexes, private club or athletic club. Commercial or public pools are operated by government agencies such as communities and school. It might be ten times larger in the size and volume then private pools. Competitive swimming pools, for example, are usually 50 meters in length by 23 meters in width. The free-form pool with multiple rockscapes and waterfalls are becoming more popular in forms of commercial or public pools. The volume calculations for commercial pool become simple if the pool is divided into sections and then making the calculations. It is important to calculate volumes of water in large pools. The accuracy of the estimate becomes critical with a commercial pool, because liability and public health are involved and also because when dealing with large numbers, even a small percentage error may result in mistakes of thousands of gallons and therefore significant errors in chemical applications, turnover rates, and other maintenance calculations. With commercial volume calculation, it is important to estimate the slopes of the sides and floor to get correct volume estimates. It is best to consult the pool plans or builder to determine the exact calculation. It is best achieved by calculating the volume of each section (dividing commercial pool in different sections and calculating the volume for each section) By adding the volume of each section gives us the total pool volume. In dealing with commercial volume calculations be careful that errors in estimating the slopes of the sides and floor can result in volume estimates that may lead to thousands of gallons volume estimate errors. There are numerous formulas and guidelines establishing maximum user or bather load. Some codes consider recirculation flow rates in gallons/minute per swimmer and some differentiate between indoor, outdoor, shallow and deep end pools. Other consideration is given to the size of surrounding decks or to special equipment, such as slides and diving boards. Pool operator should consult health codes for the appropriate formulas and to the standards for which the pool was designed. One bather per 15 square feet of surface area in portions of the pool that are 5 feet deep or less. One bather per 20 square feet of surface area in portions of the pool that are more than 5 feet deep. Subtract 300 square feet from the total surface calculations for every diving board. For example, the shallow end of the pool is 40 feet x 20 feet = 800 square feet; 800 / 15 = 53 bathers. The deep end is 40 feet x 80 feet = 3200 square feet. There is one diving board, so you deduct 300 square feet, arriving at 2900 square feet; 2900 / 20 = 145 bathers. The total occupancy of this pool is 53 + 145 = 198. The public pools are used by many bathers at any given time. The question that arises is how much water is displaced by the volume of people. This question determines the flow rates of replacement water, surge chamber requirements. If the pool is fitted with an overflow drain to waste, the bather load will displace the water out of the pool or spa. When the bathers leave, the water level might drop below the skimmer and the pump could run dry. Obviously this would be even more likely to occur in a commercial spa. Usually a typical bather will displace 2 cubic feet of water fully submerged. But bather at the shallow end are usually only partially submerged, while bathers in the deep end are almost completely submerged. The bather at shallow end displaces 75% of 2 cubic feet each (0.75 x 2 = 1.5 cubic feet each). The bather at deep end displaces 90% of 2 cubic feet (0.9 x 2 = 1.8 cubic feet each). So the displacement for all bathers should allow enough water to be diverted to surge chambers. Though most equipment for the commercial pool resemble the smaller versions used by residential installations like the pumps, air blowers, heaters, cleaning, and other equipment, they are often built of heavy-duty materials and increased capacities. The following equipment and supplies are unique to commercial water technology. Water in large commercial pools is displaced into a holding tank called a surge chamber, when heavy bather loads displaces a great deal of water. When bathers leave the pool and the water level drops, water from the surge tank is pumped back into the pool. When there is water loss due to splashing and wetting of the body, replacement water is directed into the surge chamber, where the level of the pool is monitored. Each surge chamber is designed differently, but the basic concept remains the same. Large pools require a slurry tank or feeder where DE is mixed with water and is pumped at an even rate into the filter to precoat the grids. Slurry feeder is simply an open concrete pit in the pool equipment room where this mixing takes place. A motorized paddle mixer called an agitator, is used to keep the DE suspended in the water, which is then pumped into the suction flow of the pump and sent to the filter grids. There is other system that uses a slurry tank, from which the mixture is vacuum fed to the pump, or a pressure system where the mixture is forced into the system. Modern systems use injectors and various pumps for measuring, mixing, and moving the mixture, but the objective and components are the same on each type. As with any DE precoating, the filter must first be cleaned, then the appropriate amount of DE is applied, followed by normal filtration. DE, cartridge, and sand filters are all made for large commercial pools and spas. When one large filter is inadequate, several filters are plumbed together in series with a manifold. Cartridge filters are also manufactured for commercial use, but as discussed in the chapter on filters, they have not been widely adopted because of the large amount of cartridge surface area required to filter large bodies of water. Cartridges can also be difficult to clean, the pleating creating crevices in which oils and dirt can become lodged. Commercial filtration generally requires pressure gauges on the incoming and outgoing plumbing of the pump and filter. Sight glasses are often required on waste lines and the outflow plumbing of the filter. Flow meters might be required on the heater and filter plumbing as well. Make sure these are always clean, free of leaks, readable, and reflecting accurate pressures and flows. Even distribution of sanitizer is a problem in the large volumes of water found in commercial pools. Because bathers are likely to use the pool or spa immediately after servicing, it is important to make sure chemicals are not lingering in harmful concentrations at any point in the water. Chlorine gas is the most efficient and least expensive sanitizer. Injecting it into the circulating water is an effective way of gradually adding chemical to a pool or spa. For commercial pools it is the preferred method of sanitization. In a typical chlorine gas feeding system, the gas is supplied in cylinders that discharge the chlorine gas through a pressure regulator, volume control (to control the ultimate strength of the chlorine mix), and visible volume meter to a water reservoir. When the gas is injected, it mixes with the water to form a solution that is then pumped into the circulation system for delivery to the pool or spa. By regulating the time of operation and volume of gas delivered, the sanitizing of the water can be managed. The incoming water supply might be fill water for the pool or part of the circulation water diverted for this purpose. Some installations make their own chlorine, considering how expensive it is to sanitize a large pool or spa and how relatively inexpensive salt, electricity, and water are. Chlorine generators produce chlorine gas by electrolysis. The generator consists of a plastic tank with two compartments separated by a filter-type membrane. The larger side, which includes a positively charged electrode (called the anode), is filled with a salt (sodium chloride) and water solution. The smaller compartment, which includes a negatively charged electrode (called a cathode), is filled with distilled water or municipal water (If it is not too hard). The membrane allows electricity to pass through but restricts the chemicals produced to one side. Chlorine gas is generated in the salt solution compartment when the electricity separates the chlorine from the sodium. The gas rises above the water and some passes through the membrane, mixing in the smaller chamber with the fresh water to form sodium hydroxide (which is drained off periodically). Hydrogen gas formed in the process is vented out of the generator. Salt is added periodically to recharge the system. The chlorine gas is then injected through plastic plumbing into the circulation plumbing. The electrical current is supplied through a transformer that converts 110- or 220-volt ac into 12-volt dc. Regulating the current regulates the volume of chlorine produced. Some variations of the chlorine generator include systems that produce the chlorine right in the circulation water flow for direct application to the pool or spa water. All pool or spa equipment rooms should be kept clean and neat, but this is critical in the commercial equipment room. Chemicals should never be stored near equipment, where heat or water leaks could mix with the chemicals, with toxic results. A sump pump should be installed in a pit in the floor of the equipment room. Since leaks in commercial plumbing can be very substantial, a submersible pump with an automatic float switch should be provided that will drain water from the room to a waste line. Commercial equipment is expensive and water rising from a major leak can cost much more than a sump pump. Most building codes require that the deck be clear and unobstructed all around the pool or spa, with any furniture set back at least 5 feet. This provides a margin of safety so people don't trip and fall in the pool and so that bathers can easily exit the pool or spa at any point. Special safety equipment is usually required by health departments. These might include a shepherd's crook, toss ring, and first-aid kit. The toss ring must be attached to a rope that can reach to the greatest distance of the pool. The shepherd's crook, attached to a sturdy pole of at least 16 feet, must have at least an 18-inch opening and be able to support up to 150 pounds. Many jurisdictions also require a floating safety rope across the pool at the point where the major break in the slope of the floor begins, usually about the 4- to 6-foot depth. Before performing any remodeling procedure on a commercial pool, check the building codes for safety requirements. If you are adding equipment, like installing a diving board, be sure you know the requirements of water depth and area clearances. Many jurisdictions require a minimum of 10 feet of water depth, 15 feet of clearance above any part of the diving board surface, 10 feet clear on each side of the board, and at least 16 feet of horizontal water surface in front of the furthest reach of the board. For any commercial installation, you must obtain a copy of the codes and regulations applicable in your area. The following are a few common standards to look for. For health and safety reasons, most jurisdictions require that the circulation equipment be operating whenever the pool is open to bathers. Service logs must be maintained and kept available in the equipment room for inspection so that a health department inspector can verify compliance with regulations and compare servicing to water testing results. Always close the pool or spa to users whenever you are performing cleaning or chemical service. Don't give in to the demands to use the pool when you feel the pool is unsafe for any reason. Many regulations require deck and pool lighting of certain specifications, whether the pool is used at night or not. Make sure that the bulbs are working and the timers are operating correctly. Make sure access to the heater temperature controls is locked. If you leave controls exposed, someone will turn perhaps creating dangerous conditions for users. Lock away time clocks and chemical supplies. Drains, gutter suction ports, deck skimmers, and other lines must be covered or fitted with a grate. Some jurisdictions require minimum visibility so that any injured person at the bottom will be seen. Some standards call for visibility at a certain level, others call for the main drain cover to be clearly visible. Some jurisdictions require (and it is a good idea in any case) that you be certified by a recognized professional organization to maintain commercial pools. Check with the authorities in your area to learn what training they recognize and require. Flow meters record the flow rate in a particular pipe or piece of equipment. Inside, a small lead weight rises and falls depending on the flow of water in the line. One end of the flow meter is male threaded for easy installation into a female threaded opening in a pipe. Flow meters are generally used in commercial installations where health department or building inspectors test the system by the rate and volume of water flow. Some codes require a flow meter be installed in the system. To install the flow meter, cut the pipe and plumb in a T fitting to reconnect the pipe. Two ends of the T are used in reconnecting the pipe, and the third opening of the T is plumbed with a female threaded reducer to make the opening the same size as the male threaded end of the meter, which is then screwed into place. Apply PTFE tape to the male end to prevent leaks. Another method is to drill a hole in the pipe that is slightly smaller than the diameter of the male threaded end of the flow meter. Because the PVC is softer than the metal end of the meter, when you apply pressure and screw it into the pipe it will self-tap. These installations usually leak. You can use this method with copper plumbing because although the copper is soft, it is less likely to strip when you screw in the flow meter. Some meters fit loosely in the hole sealed with a gasket and are held in place with pipe clamps. Flow meters are not always accurate and should be used as a reference in conjunction with other observations you make about a system.